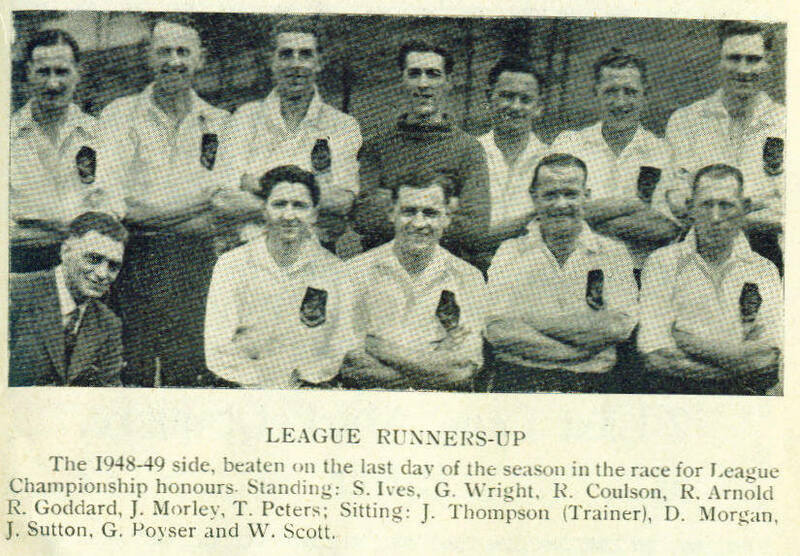 This Dover line-up played in a number of games in the second half of the 1948-49 season. From the caption, the photo was probably taken at the home match against Canterbury City on 7th.May, 1949. We won 2-0, but finished runners-up to Ashford Town on goal average.